- This coupon is available only to foreign travelers visiting Japan. - Show this coupon to restaurant staff before the meal. 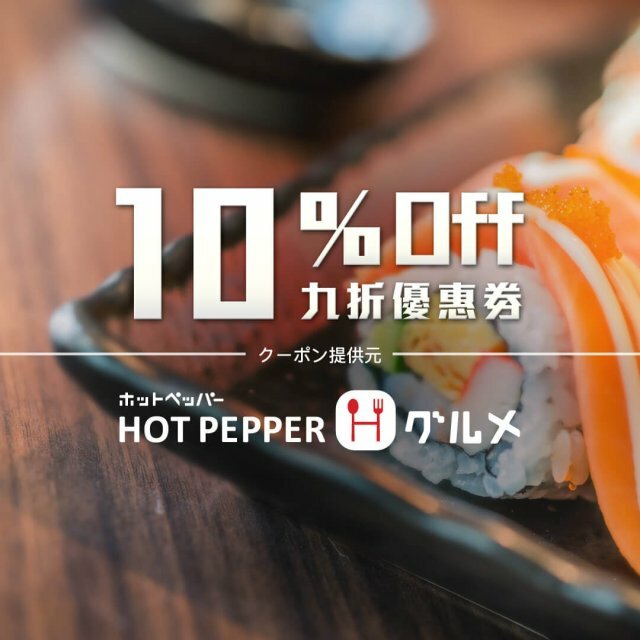 - This coupon is provided by Hotpepper Gourmet. - Each person must order at least 1 item of food. - Up to a maximum of 3000 yen regardless of number of diners. - Cannot be combined with other discounts or promotions. - The restaurant reserves the final right of decision on all matters concerning the use of this offer. - The coupon provided by the restaurant concerned will form business transactions between customers and the respective restaurant. Openrice.com and Hotpepper Gourmet will not be liable for any responsibility. Show Japanese version below to restaurant staff before the meal.